Originally from Australia, Mark is very familiar with Asia and Thailand in particular where he has had the chance to inspect all our villas in Samui and Phuket. Having been there several time is very familiar with all types of activities and has best recommendations for restaurants and places to see. 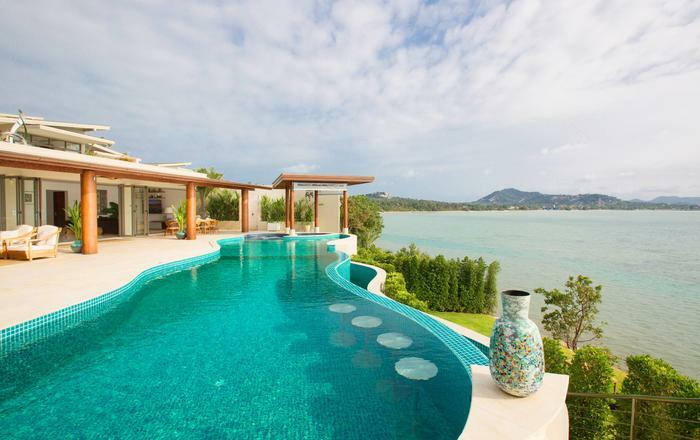 Set along the golden sands of Laem Sor beach, Baan Wanora is a six bedroom beachfront villa set in 17,000 sq. ft. of tropical gardens. Within the contemporary interiors guests will find everything they may need for a luxury holiday by the sea, from the private pool to the large alfresco fining spaces and everything in between. The open plan living area has large sliding doors that dissolve any distinction between indoor and outdoor living. The sumptuous lounge area featuring a high ceiling with fans has large sofa seating for up to 25 persons, a 48” LCD TV and an extensive DVD & book library. The simple natural palette spiced with warm vibrant colours and exquisite 100-year-old far eastern antiques allow this stunning space to speak for itself as it entices guests to relax and unwind. The crowning feature of Baan Wanora is the dramatic 20m ebony tiled infinity pool with adjoining pool terrace fringed by palm trees. 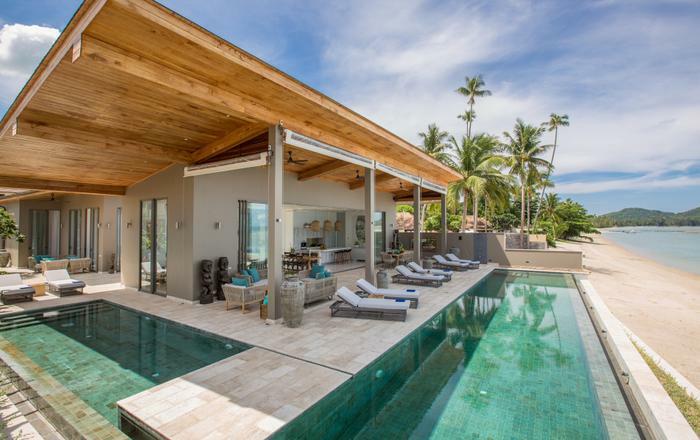 The impressive salt-water pool is an elegant centrepiece in this well designed space and the swim up pool bar adds an interesting twist to its sleek design. 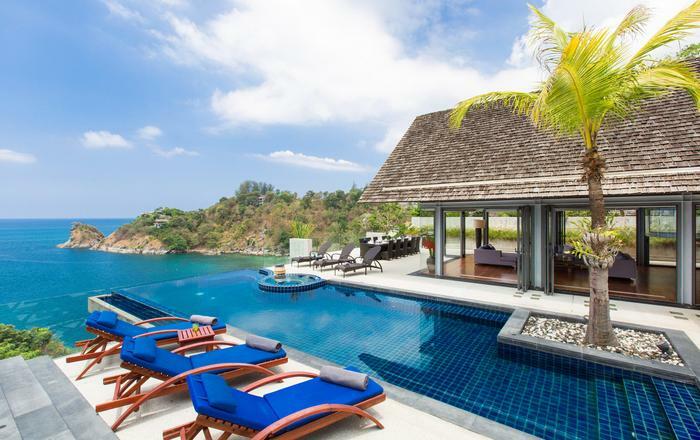 Large covered surrounding terraces offer relaxed chill spaces out of the heat of the day whilst bronzed sun worshippers can enjoy the full glory of the sun on the pool terraces or on the pristine sands of Laem Sor beach. Designed with entertaining in mind, gatherings around the large 16-seater dining table are drenched in unfolding views of the villa and beach. The large balcony also features a smaller 8-seater dining table for guests to enjoy. The thoughtfully appointed poolside Sala, steps away from the soft white sands and azure waters of the Gulf, makes an excellent choice for outdoor dining in the lap of luxury at any time of day. The experienced chefs can prepare delicious menus for wonderful lunches and dinners, making staying in the perfect option. The two master bedrooms, three double bedrooms and kids' room all have stunning sea views, sumptuous custom bedding, bespoke furnishings and individual colour schemes. 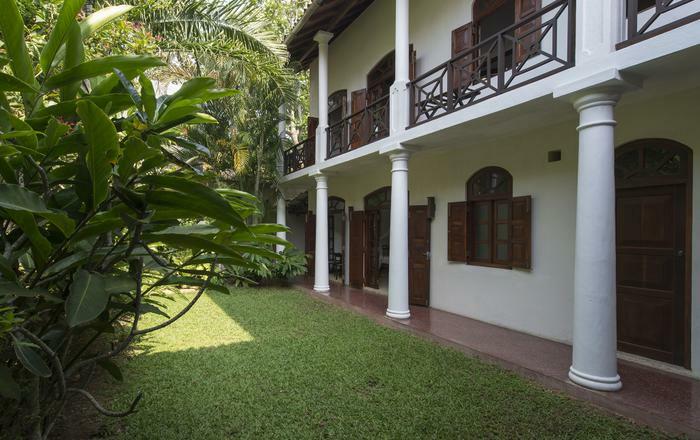 The kid’s room has a connecting door to an additional single bedroom making it an ideal children’s retreat close to the main pavilion. Each room offers highly appointed bathrooms, some with additional outdoor facilities. The attention to detail in each room has been implemented to ensure that guests enjoy the utmost in comfort. For guest’s convenience, 32” flat-screen cable TVs, DVD players, Internet access, mini bar, full complimentary toiletry sets and room safes are available in each room. 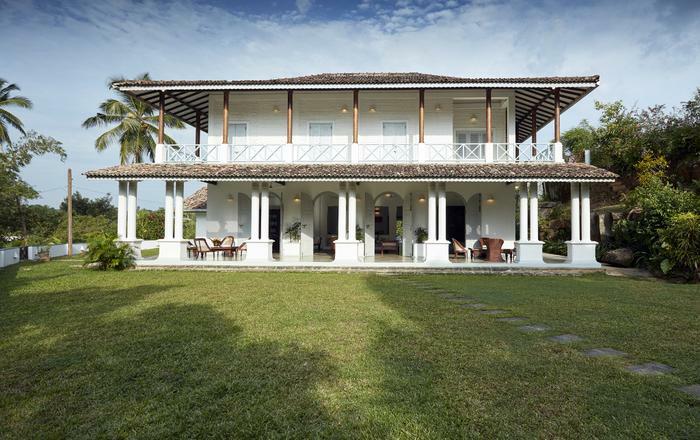 The highly trained in-villa staff take care of all guests' needs and requests, including the daily cooking, cleaning, maintenance and upkeep of the villa. The experienced private chef and her team, prepare a range of delicious dishes from the in-villa menu also including a full cocktail menu and choice of fine wines from the cellar. Guests can also request special meals, such as a BBQ or celebration dinner, prepared to order. Reviews. What our guests are saying. The Villa was great. Better than expected. Beach also was better than expected. Staff very friendly and helpful. I spent five wonderful days inbaan wanora on koh samuiisland in june this year, andwant to share the experiencewith you. when i arrived, iwas overworked and mentallytired. after being installedinto my delightful room, iwent straight for the swimmingpool. what a pool! the bestsalt-water pool i ever swamin. 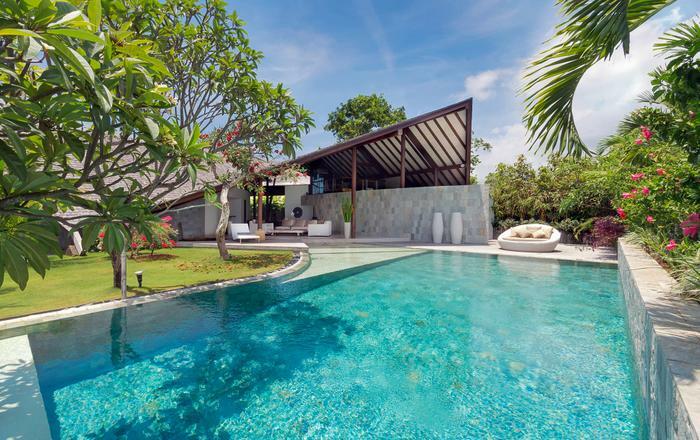 i hardly moved out of thevilla these five days, apartfrom walking on the beach veryearly every morning watchingthe sun rise, but my favouriteactivity was swimming in thepool, under the stars, withthe soft sound of the oceanebbing and flowing. the oneword, i would use to describethis place, is serenity. thecalm and quiet is immenselysoothing and relaxing, comingfrom a stressful life in a bigcity. 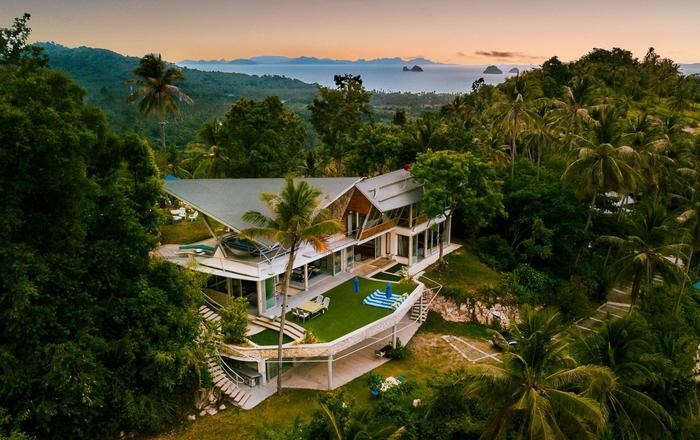 everything, includingfood and service is of veryhigh standard in baan wanora,which makes for the perfect,relaxed holiday with orwithout your loved one! Daily Rates, Extra Beds are inclusive of all taxes and service charge. Airport Transfers charge of USD 50 is applicable, subject to 10% service charge; Charges for airport transfer are applicable per trip and for a maximum of 8 passengers per vehicle (private mini bus or luxury car). A security deposit of USD 1,000 in cash is required to be paid on site upon check in. Funds will be returned upon departure. For Low Season, High Season, all payment(s) received will be credited booked for within 9 month of the cancellation date if the booking is cancelled after the payment(s) date. For Peak Season, Christmas/New Year Season and if the booking is cancelled after the deposit and/or balance payment date, all payment(s) received will be forfeited or refunded in pro-rata shall another booking be secured for the same period that has been cancelled. Early departure, immediately on arrival or later during the dates of stay, will be considered a cancellation and all funds will be forfeited.